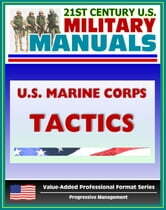 Part of our value-added professional format series of U.S. military manuals, this U.S. Marine Corps manual is about tactics. This publication is about winning in combat. Winning requires many things: excellence in techniques, an appreciation of the enemy, exemplary leadership, battlefield judgment, and focused combat power. Yet these factors by themselves do not ensure success in battle. Many armies, both winners and losers, have possessed many or all of these attributes. When we examine closely the differences between victor and vanquished, we draw one conclusion. Success went to the armies whose leaders, senior and junior, could best focus their efforts—their skills and their resources—toward a decisive end. Their success arose not merely from excellence in techniques, procedures, and material but from their leaders' abilities to uniquely and effectively combine them. Winning in combat depends upon tactical leaders who can think creatively and act decisively. 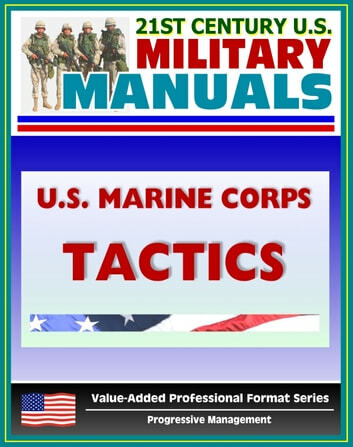 This book pertains equally to all Marine leaders, whether their duties entail combat service support, combat support, or combat arms. It applies to the Marine air-ground task force commander as well as the squadron commander and the fire team leader. All Marines face tactical decisions in battle regardless of their roles. Tactical leaders must develop and hone their warfighting skills through study and practice. This publication serves as a guide for that professional development. It addresses the theory of tactics and its application in a chaotic and uncertain environment. The concepts and ideas within this publication are battle-tested. Throughout our history, one of the most important reasons for the success of the United States Marine Corps has been the military skill of our leaders at every level of command. Through their tactical skill and battlefield judgment, our commanders achieved tactical and operational advantage at the decisive time and place.